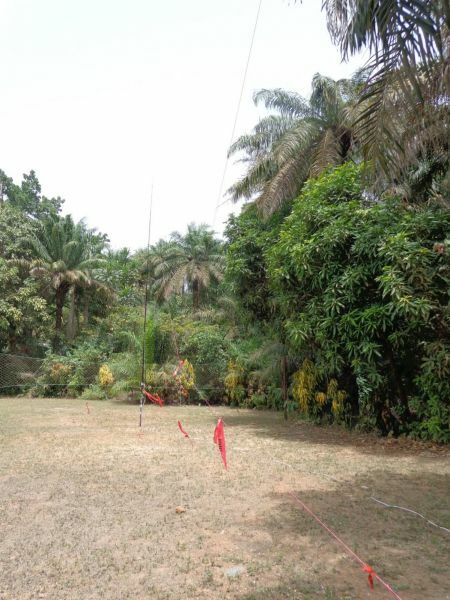 3XY1T Los Island: I2YSB, IK2CIO, IK2CKR, IK2DIA, IK2HKT, JA3USA, IK2RZP, I1HJT will be active from Iles de Los (Loose Islands), IOTA AF-051, Guinea 18 February - 4 March 2016 as 3XY1T. They will operate 160 - 6m CW, SSB, RTTY. Operation freqs 1826, 3530, 7025, 10115, 14030, 14270, 18068, 18155, 21030, 21310, 21083, 24893, 24975, 28030, 28420, 50102, 50123. QSL via I2YSB direct, OQRS. This night will be the last on 160m and today is the last day on 6m. Friday morning we have to uninstall everything and to be ready to get the ship at 14:00. 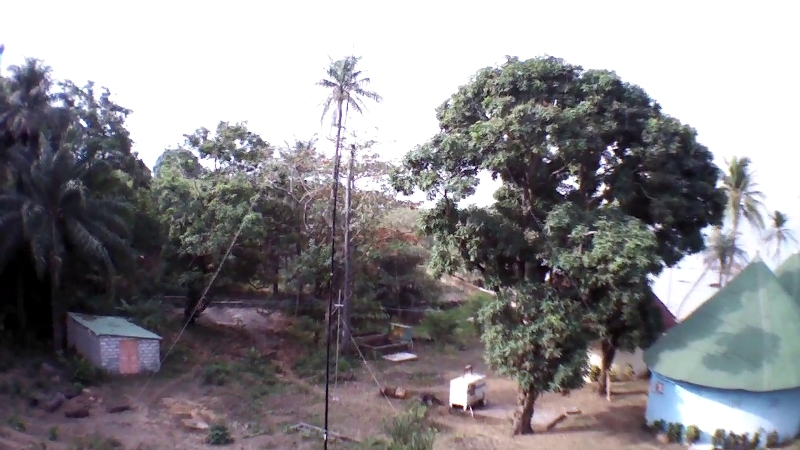 We reached 1600 QSOs on 160m and we are happy for that, condition permitting we are trying to reach overall 90000 QSOs, it seems easy but we are tired. This evening and tomorrow we will be active on 30m RTTY ! Today is a week that we are in Guinea. We have 50000 QSOs in the log with 8 operators. Today Mac JA3USA is back home, we will miss him.Today morning we installed a DHDL rx antenna for the low bands, hoping to improve our activity on these bands. 1000 QSOs on 160m and almost 1000 on 80m encourages us to continue. Yesterday evening we made 15 QSOs more or less with JAs on 160m. Iles de Los, 3XY1T 160m Vertical. 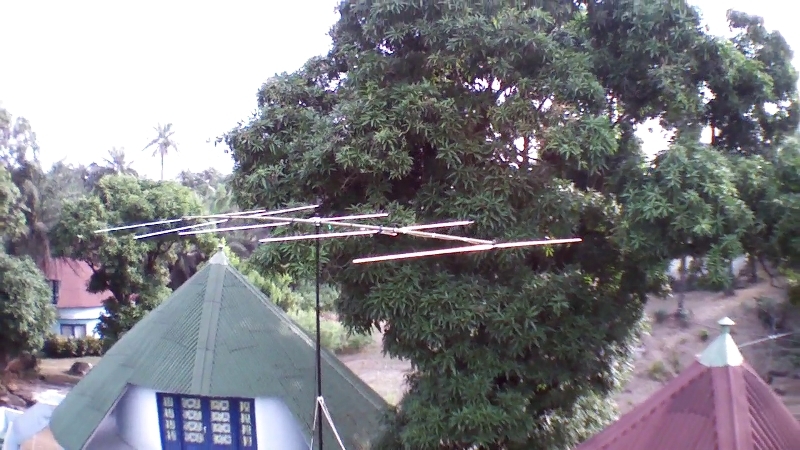 Iles de Los 3XY1T 6m antenna. The situation in the 160m and the low bands in general is very promising. Last night we made about 200 QSOs on 160m. We trying varios receiving antennas to reduce noice level. We will try again after ARRL contest. We have some problems with internet connection. We installed all the antennas except the one of 160, we will install tomorrow. The pile-ups are heavy, the signals very strong everywhere, the proximity to the sea probably helps. Some antennas are directly on the beach and the tide has a very high excursion. When the tide is high, the antennas are in the sea. During the day, the stations are powered by solar panels and we cannot use the air conditioners, so we are forced to stay warm. It's hot , here, with 32 C or more , also in the night it's not so cool. In the evening the power generator is turned on, but the air conditioners refresh only the rooms, not our shack. In the shack we haven't air conditioner. Anyway, the food is good and we are happy. 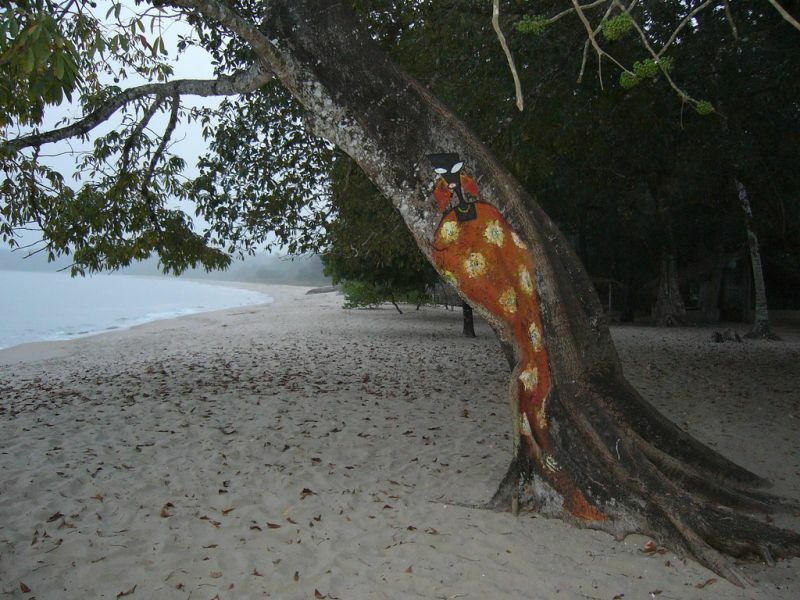 The island does not have a power grid; our resort has a generator operating only during the night. We rented two generators for daylight operations; as a consequence, there might be occasional breaks for the maintenance of this equipment. In analyzing statistical data, we noticed that there is a high demand for this country in VK/ZL. These stations are invited to use the cluster to warn us of possible openings. We plan to have, as usual, our real-time online Log available via internet, with uploads every minute (barring connection problems). Specific requests should be addressed ONLY to our pilot stations, IK7JWY Arturo and IK0FTA Sergio (for the 6m band). The pilot stations can check and correct possible Log errors. 3XY1T Los Island DX Pedition Logo. 3XY1T. Where Iles de Los (Loose Islands) is located. Map. Outstanding operation. One of the more professional I have been party to since being in amateur radio.